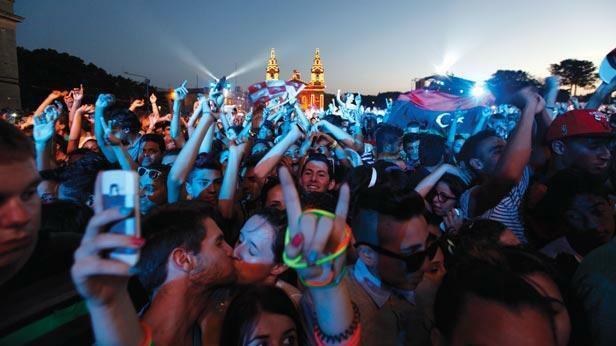 Isle of MTV is a local music concert held every summer. This is a file photo. An orthopaedic consultant has been awarded damages of €117,173 after he was held and beaten up by three men in an incident during the Isle of MTV concert in 2013. The case was instituted by Jason Zammit against Chris Joseph Griffiths and Anu Ogunbiyi. He told the court that during the concert the two men and others, who remained unidentified, had been waving their hands and jumping, hitting and harassing his children in the process. He politely asked them to stop but was ignored. Policemen who happened to be close by also told them to stop harassing them. As the men moved on, Mr Zammit said Mr Griffiths accused him of having made a racist remark against Mr Ogunbiyi, who is of Nigerian descent. Mr Zammit strongly denied the claim. The group of men moved on, but they returned 45 minutes later, grabbed Mr Zammit and held him while he was punched kicked and headbutted. His daughters were also assaulted. The accused pleaded not guilty and denied responsibility. Testifying, Mr Griffiths said he did not know if it was Jason Zammit who had passed the racist remark, but that it came from his direction. Magistrate Lawrence Mintoff, after hearing various witnesses, including the police, said it believed the version of events given by Mr Zammit. The Civil Court dismissed the claim of a racist comment having been made, and added that in any case that did not justify the assault, made some 45 minutes later. It also established that Mr Zammit had suffered a disability of 11% and ordered the accused to pay damages of €117,173 between them.